Dairy ingredients in the new year! So, what does the dairy ingredient situation look like as we head into 2018? Well, nationally and globally there is still an abundance of non-fat dry milk. Initially it appears that both demand will need to grow (think exports to China )and supply will need to be reduced (drought in New Zealand) for a significant dent to be put in our NFDM inventory. The butter price in 2017 never got below $2.00 /lb. for the entire year – the first time that has ever happened. Although there seems to be plenty of butter in inventory, butter does not always react logically to supply and demand rules, making it difficult to predict where pricing will be this year. History has told us that we can expect somewhere between a 1% and 2% increase in milk production nationally this year. The bottom line seems to be that, barring a huge weather event (drought or extreme rain) dairy ingredient prices could follow a somewhat normal pattern where they increase through the summer and fall off later in the fall. If that pattern occurs, mix prices will probably follow the same course. 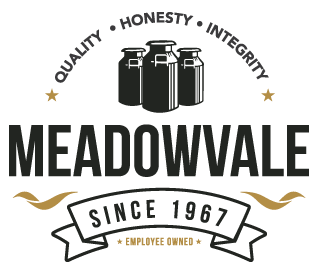 https://i0.wp.com/meadowvale-inc.com/wp-content/uploads/2018/01/NFDM_dairyIngredients.jpg?fit=495%2C400&ssl=1 400 495 admin https://meadowvale-inc.com/wp-content/uploads/2018/06/LoaderGraphic.png admin2018-01-12 21:28:422018-01-12 21:30:16Dairy ingredients in the new year!